Jamal Taylor, accepted into the BMCC Upward Bound program! The first ever Costa Rica Trip Food Fundraiser on Wednesday, a success! More coming every Wednesday through April! Come with 5.00 for a plate! All Students using Regent Exam Bootcamp Prep Sessions to get ready for Retake 2016 Jan 26-29! All students finalizing resumes with Mr. Gibilaro for Spring Internships and Summer Jobs! T-Shirts, Polos, Hoodies, Cardigans, Fleeces and More! A "seal of service" is awarded on your diploma for those completing 100 hours of volunteering during the 4 years of high school! Find opportunities at www.volunteermatch.org, www.idealist.org or jumpstart a project at UAG via organizations like www.dosomething.org! Morningside Retirement and Health Services, Inc, was founded in 1966. We are professionals and residents of Morningside Gardens<http://mhhc.coop/> committed to helping older residents remain in their homes. We provide programs that promote health and provide opportunities for education, socialization and recreation. YMCA Global Teens service-learning trips are FREE but teens must be active members of the YMCA in order to be selected (also free - with our Strong Kids applications). Applications for the Vanderbilt YMCA teens programs are in the rack outside 716. We have two Global Teen trips scheduled for this coming summer. A trip to Seattle Washington and a trip to South Korea with the Seoul YMCA. Both programs will focus on environmental issues and civic engagement. • Be available to participate in weekly activities leading up to the trip dates in July. THE GLOBAL TEEN APPLICATIONS ARE AVAILABLE NOW!!! So get your teens get involved with the Vanderbilt YMCA immediately . Additionally we are currently recruiting for our 2016 College Road Trip. The week-long trip is completely free. Travel, lodging, and food will all be covered by the Y! It's an amazing opportunity. Contact our Teen Coordinator Dwayne Edwards (212 912 2557) with any questions. If you're in high school and are thinking about what you're going to do next, now is the time to explore some career possibilities before you make the leap to college. And what better way to find out what you really want to do than by taking a course or two. 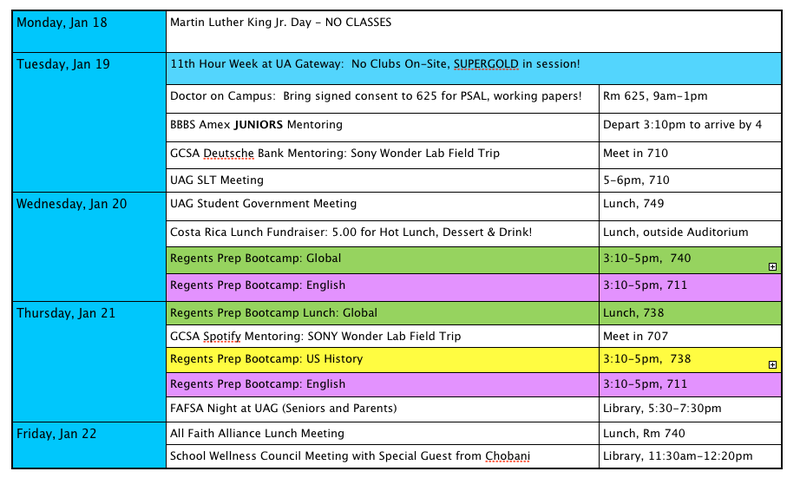 Saturday and Sunday Live courses meet once a week for 11 weekends during the fall and spring semesters. The classes are taught by FIT professionals who love what they do and love to share their knowledge even more! FIT's Precollege Workshops are fun, short programs that will introduce you to some of the unusual and creative topics that we specialize in at FIT. Spend six hours a day for four days at FIT learning a specific skill or technique, and leave with a Certificate of Completion that you can put in your portfolio or submit with your college applications. You'll be both challenged and inspired by the new tips, tricks and techniques you'll learn in just four days. Season Ten of Keen Teens is launching, which is Keen Company's FREE educational theater production for high school students in the New York City area. We will hold auditions for this year's plays on February 3rd, 4th and5th at Theatre Row Studios in Manhattan. Keen Teens is a unique program which seeks to improve the quality of plays written for high school students by commissioning scripts from highly regarded professional playwrights. This year, in addition to two plays, we will also be producing a new musical! This season's writers are Nick Gandiello, Jason Kim, Max Vernon, Hannah Bos and Paul Thureen; all of them are creating 30-minute plays that we'll present at Theatre Row, after which they'll be published by Samuel French. The plays are performed by high school students as part of a free program which allows students an immersive experience in new play production. The plays are all designed and directed by theatre professionals, allowing the students a unique opportunity to work alongside some of the most talented emerging artists working in New York today. We’ll be offering three sections of Photo I in Black-and-White this term, the ideal starting place for students with digital photography experience (or no prior photography experience!) interested in working in the darkroom for the first time. For students with prior darkroom experience, we’ll be offering two sections of Photo I in Color as well as two theme-based Photo II in Black-and-White classes: one section focusing on Lighting for Portraiture (ideal for more advanced teen photographers, using portraiture as an entry point for understanding the technical and aesthetic components of studio and natural lighting) and one section called The Self-Published Artist(focusing on learning how to extend the reach of your photography through handmade books and zines). Registration for the winter opens on December 1, but scholarship applications are now available (and are attached). As always, we reserve 50% of the spaces in every Teen Academy class for students with financial need. The scholarship application deadline is December 18, though the sooner we receive an application, the more likely we are to be able to accommodate your students. Our winter classes begin in late January. Please don’t hesitate to let us know if we can answer any questions about our upcoming courses or assist in the scholarship application process. Tuesday, January 19 at 6:00 p.m.
Tuesday, January 26 at 6:00 p.m.
Tuesday, February 2 at 6:00 p.m.
Tuesday, February 9 at 6:00 p.m.
Students can register for an Open House online HERE. For the past twenty-five years MCNDHS has focused on educating overage, under-credited high school students. We are still recruiting students for our night program which will run from 3:10 p.m. - 9:30 p.m., Monday - Friday. After they register online, students should bring their Permanent Record, Student Evaluation Report (RESI on ATS) and their Individual Education Plan (IEP) to an Open House. Qualified students interested in our program will be set up with an interview appointment. Students and parents can visit our website at www.mcndhs.com to learn more about our school. Still have questions about our program? Email us at admissions@mcndhs.com and our admissions team will get back to you. Take advantage of this great opportunity to be trained for a career while you help to improve your community! Sustainable South Bronx's BEST Academy offers a 12-week intensive, hands-on, free training in the field of green construction and building maintenance. Job placement services are available. Potential to earn certifications in USBC GPRO, BPI Air Seal Training, EPA Lead Renovator, OSHA 10 (general industry and construction safety) and First Aid/CPR. To apply, call to register for an information session at 1647 Macombs Road, Ground Floor in the Bronx at 10 AM on any of the following days: • November 17, 19, 24 • December 1, 3, 8, 10, 15,17, 22, 29 • January 5, 7 All interested men/women over the age of 18 with a high school diploma or equivalency and an interest in a career in building maintenance or green construction are encouraged to apply! Don't delay. Call today 646-400-5431. Classes start January 19th! The Yale Young Global Scholars-Singapore (YYGS-Singapore) is an immersive week-long academic enrichment and skills-based practicum designed for outstanding high school students from around the world to encourage their drive, energy, vision, and potential to make a meaningful impact as young leaders. 200 talented high school students will have the opportunity to learn from distinguished Yale faculty, Yale students, and practitioners, all while experiencing residential life at the state-of-the-art Yale-NUS College in Singapore. By combining year-long mentorship with a current Yale student and opportunities to engage with a host of like-minded peers, YYGS-Singapore will set a new generation of young leaders on the path toward continued success in high school, college, and beyond, all in one of the most culturally-vibrant and influential cities in the world. To apply and for more information, visit the program’s website. Invite your students to make digital games about real-world issues for citywide challenge. Games for Change invites NYC middle and high school students to make digital games about five social issues: Animal Welfare, Smart Cities, Civic Journalism, Literacy, and Youth Justice. Tell your students about this awesome opportunity, especially if they're coding already! Provide time for students to make games, or integrate the Challenge into your classes. Games are due byJanuary 30. 2016. Winners will be announced and prizes awarded in March 2016. The Challenge is hosted by Games for Change with NYC Department of Education initiatives iZone and Digital Ready, Globaloria, Institute of Play and the Museum of the Moving Image. The New York Times, Mayor’s Office, Global Literacy XPRIZE, ACLU and A Kinder World Foundation are sponsoring the game themes. G4C is hosting free hands-on civic learning meet-ups about the five local themes students are invited to make games about, and facilitated by NYC experts and activists. The meet-ups will give students get a deeper dive into their chosen issue, to inform their game making and connect them with their community. Registration is free (and first-come, first-served): bit.ly/g4cmeet-ups (If students are under 18, they can bring a parent/guardian). For more info, visit www.g4cstudentchallenge.org or email sara@gamesforchange.org. Gain the skills to advocate on behalf of themselves, their schools, and their communities. Learn how to conduct hands-on research, such as public polling and site visits. Meet with government officials to discuss their ideas for improving New York City. Become better leaders through problem solving and critical thinking. Strengthen their communication and public speaking skills. Make lifelong friends with the diverse group of peers in the program! The Spring 2016 YCLC will begin on Monday, March 7th. Students in Career Essentials participate in 12 two-hour workshops facilitated by our experienced program coordinators that focus on work readiness skills. 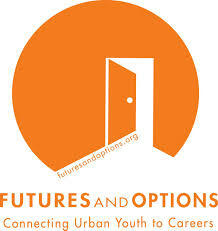 Workshops are held at Futures and Options, which is located in the financial district, once a week after school. Participants learn communication, presentation and interviewing skills, workplace etiquette, time management and resume writing. Two career exploration field trips offer students exposure to different career options and companies. Students also have the opportunity to network and learn with their peers from different boroughs and high schools. We will offer the program on Wednesdays and Thursdays this spring, and have 50 open spots. Even though the program is open to all students, we mostly target 9th and 10th graders, and students we feel are not yet ready for the world of work. The spring program will begin March 9th. The due date for the application is Friday, February 12th, 2016. · Networking opportunities with the 40 other students in the ULF cohort and with 22 years’ worth of ULF alumni. Students in the Internship Program participate in paid mentored internships at New York City businesses, nonprofits, and government agencies. The interns work 12-15 hours per week after school or up to 40 hours a week during the summer. Additionally, interns receive ongoing support from Futures and Options program staff and attend regularly scheduled work-readiness workshops and career exploration field trips. The program is open to students ranging from rising high school juniors to rising college freshman. Are you an aspiring musician, producer, writer, or MC? Do you find yourself constantly listening to music and wishing for fresh ways to create your own? 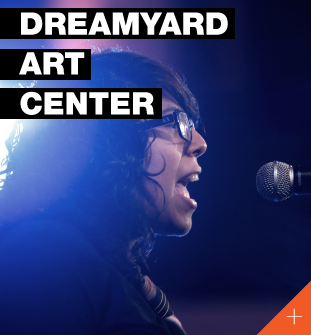 How about collaborating with peers to make beats, record, and perform original music? Or maybe you have a general interest in making music but aren’t quite sure where to begin? 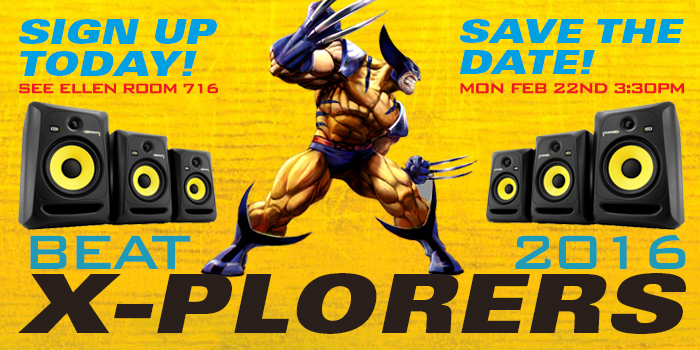 Check out your personal invitation to the Spring 2016 Beat Explorers Program! Learn how to set up and break down at a professional music studio. Collaborate with peers to produce high-quality recordings of your original music. Master the art of making beats. Release inhibitions and express yourself freely. Discover the core elements of the cypher and freestyle/MCing! Connect with the fundamentals of music theory, recording, production, performance, collaboration, and improvisation. The program takes place at Funkadelic Studios, a professional music rehearsal and recording studio just blocks away from UAG! We meet on Mondays and Wednesdays, 3:30 to 5pm from the end of February to the beginning of May, 2016. The kickoff/audition day will be held on Monday, February 22nd at 3:30pm in the 6th Fl Library. This will feature a live, interactive performance and presentation by world-renowned MC and producers Y? and Elijah “EMajor” Shippe. New York City offers children and teens a wide range of after-school and summer activities – from paid museum internships to free science research programs. Inside Schools provides a listing of free and low-cost programs that provide great ways for young people to explore new interests, get extra support, and supplement what is being taught during the school day. Click here for more information. Apply early for Summer 2016!Launched in Spring 2012, Girls Who Code is a national nonprofit organization working to close the gender gap in the technology and engineering sectors. With support from public and private partners, Girls Who Code works to educate, inspire and equip high school girls with the skills and resources to pursue opportunities in computing fields. Find out how you would score with a full-length practice test. You'll receive a personalized score report pinpointing your strengths and weaknesses so you’ll know what to focus on as you prep! *The same version of the test is administered on all dates. Scores are not submitted to colleges. call our NYC office at (646) 362-0628 to enroll! SUNY Discover Information Sessions in NYC. Click here to register for information session. Please note: each program is open to prospective students and their families, as well as school and community-based organization counselors. Contact: Jennifer Specter, Associate Director of Recruitment Programs. Contact: Jennifer.Specter@suny.edu. The New York City Department of Education and NYC College Line have developed Career Maps, an online tool that demonstrates how career opportunities and jobs are organized and identifies the questions and choices students will need to think about along the way. The interactive career guide features over 200 careers and 11 different industries. By answering four simple questions via the free career quiz, Career Maps allows students to explore careers, job requirements, yearly salary, and college majors. Click here to access this online tool. Individuals, who can show that they meet the conditions listed above after completing an application for apprenticeship, will be afforded an oral interview. Once an applicant is interviewed and receives a passing grade on the evaluation procedures, the applicant shall remain active in the apprenticeship application record book, subject to selection, for a period of up to two (2) years from the date of the interview. All applicants for apprenticeship are required to report to a collection site designated by the organization for a substance abuse screening. All applicants who wish to receive consideration for military training must submit form DD-214 to verify military experience. Applicants must present a photo I.D. for the substance abuse screening and upon acceptance into the apprenticeship program. The Bronx River Art Center offers a variety of Fine Arts & Digital Media Classes for the winter semester. A limited number of partial tuition scholarships are available for youth, based on portfolio review and financial need. To apply for a scholarship, please come in to register in person. The classes run from January 5, 2016 - March 19, 2016. PROMOTION: All classes are 10% off until November 30, 2015! Please call us at 718-589-5819, email classes@bronxriverart.org, or stop by our office at 2064 Boston Road with any questions. 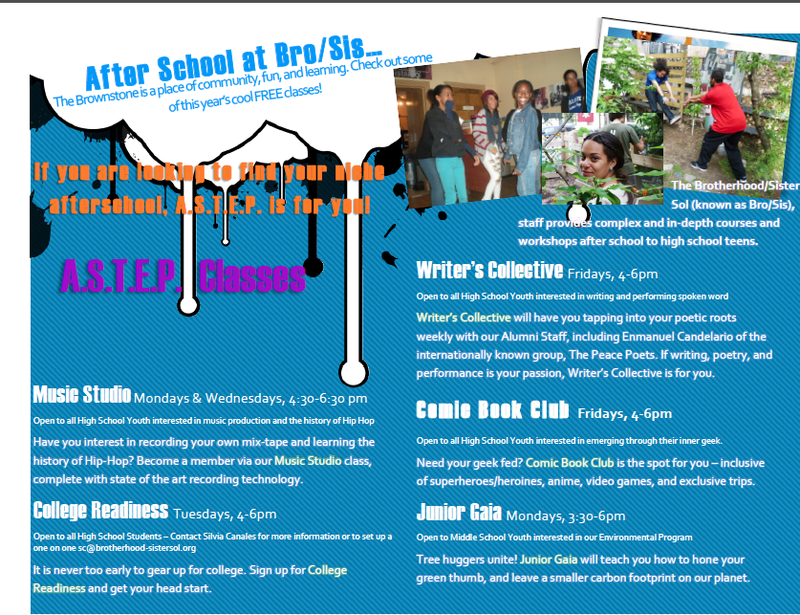 Visit http://www.bronxriverart.org/education-teen-classes.cfm to see a list of classes. 2/1: Hometeam Scholarship- for students interested in nursing and/or home care. Scholarship program provides $2,000 in support to outstanding students. Eligible applicants must be admitted or enrolled in a nursing school or home care certification program. Click here for application. 2/15: TheDream.US Scholarship- provides college scholarships to highly motivated DREAMers who want to get a college education but cannot afford it. Scholarships will help cover your tuition and fees for an associate’s or bachelor’s degree at any CUNY college. Click here for more information. These programs will take place at various locations throughout NYC. Click here for more information, including what classes are available and how to apply. you have additional questions, please contact Deborah Steinberg at dsteinberg@harlemrbi.org or at 212-722-1608. SPOTIFY = 9TH GRADE PARTNER! DEUTSCHE BANK = 10TH GRADE PARTNER! The Governor's Committee on Scholastic Achievement (GCSA) matches 9th & 10th Grade students with mentors at businesses in NYC. Mentors introduce students to the professional world and different career paths to help students prepare for college and their futures. Mentors are also fun and caring, and support students throughout high school. GCSA is a weekly program that will meet on the same day every week. Every other week, you will travel with fellow students to your mentor's workplace to meet with them. On alternate weeks, you will attend school-based after school enrichment to work on exciting projects, learn new skills, and explore opportunities in NYC. You can also anticipate opportunities to participate in trips, college visits, special events and, upon attainment of goals as the years progress, paid internships. We will be pleased to consider you for this opportunity upon completion of this application and an interview. 10th Grade Returning Students do not need to re-do application, but do need to confirm their participation this year by emailing Ms. Hogarty at ehogarty@uagateway.org. Manhattan Neighborhood Network's Youth Barrio Firehouse has producer certification programs starting in January! We offer 5-6 week television and video production for NYC youths ages 14-24. These free courses take place at our Harlem location after school twice a week. The students will learn how to shoot, edit and put together various pieces for our Youth Channel that can be accessed through both the MNN channel on television and our Youth channel online. Students with prior experience and those who complete one of courses are eligible for our Digital Journalism Internship. Since 2007, Faces of America has provided opportunities for over 1,100 students from low income and/or underrepresented communities to participate on AFS programs across the AFS network. Most recently, in 2014, the Faces of America program sent 150 students abroad to over 16 countries. Seeking placements for students NOW! Each year, more than 2,300 exchange students from 90 countries come to the US on AFS programs to study in high schools and live with host families. By hosting an AFS Exchange Student in your home, you will start seeing the world differently. The Science and Technology Entry Program (STEP) increases the number of historically underrepresented and *economically disadvantaged students pursuing careers leading to professional licensure or professions in mathematics, science, technology and health-related fields. There are sixty (60) STEP Programs housed at institutions of higher education and/or professional schools across New York State. Admission to a STEP program is competitive and requires students to participate in an application process. 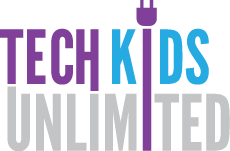 Tech Kids Unlimited (TKU) is a technology-based educational organization, for kids ages 7 to 18 with special needs, which empowers and inspires the next generation of digital natives to learn, create, develop and share the tools of technology. TKU teaches technology to kids who learn differently. EHTP wishes you all the best as you begin another school year filled with exploration, learning, and fun! We still have open spots in our University Program, and invite your students and families to apply. Our programs are offered free of charge and operate year-round, including dynamic full-day summer programs for both middle and high school students. 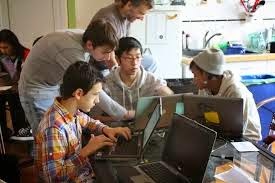 CSTUY Hacking Sessions : a program aimed at high school students with some programming experience, preferably in Java. We'll meet every Saturday from 9:00 am to noon to learn more about programming and to build some really cool projects. Students interested in applying should email zamansky@cstuy.org for more information and to apply. Any participant showing financial need may apply for financial aid. Where appropriate awards will cover full tuition. We’ve spent the summer renovating our space, and we can’t wait to share it with you all! The dust is settling, and we have emerged with a beautiful new entrance, brand new classrooms and art rooms, and a magnificent new performance space, cafeteria, and kitchen. The Door is located at 555 Broome Street in Soho. Our brand new entrance is on the corner of Broome Street and 6th Avenue (the Avenue of the Americas). We are accessible via the 1, A, C, and E trains at Canal Street or the C and E train at Spring Street.